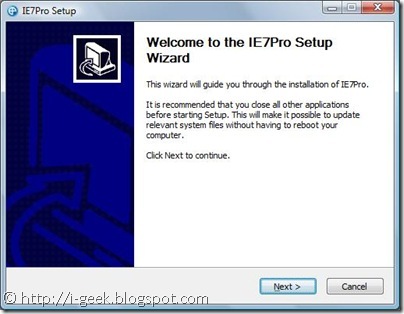 IE7Pro is a all-in-one plug in for Windows Internet Explorer 7. 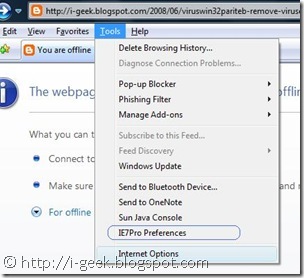 With IE7Pro installed once, you will never need to look after any tunings for better internet browsing experience than this. Supports blocking all forms of advertisments, including Flash ads, rich media, fly-ins, slide-ins, pop-up, pop-under. Filters DIVs , URLs, Images, Tables, iFrames. Visit AD Filter list. 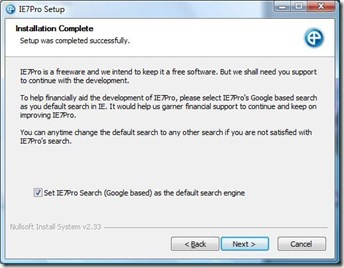 (like the Grease Monkey extension for Firefox). Also included Easy homepage. Visit http://www.iescripts.org for more user scripts and plugins. 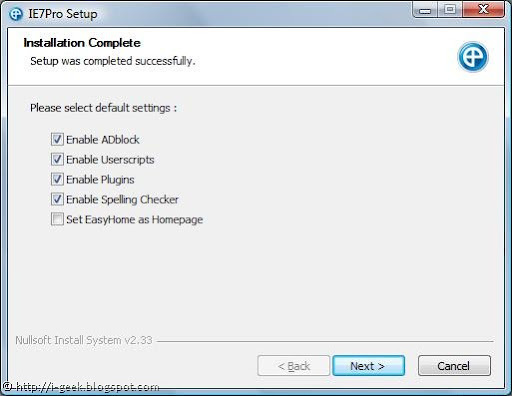 Checks spelling errors while composing mails, blog entries or any text area entries using the spellchecking engine from OpenOffice. 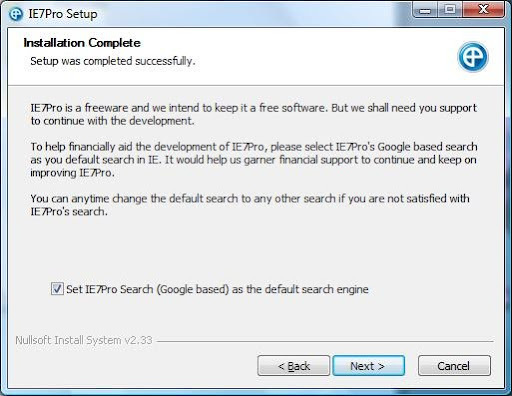 Supports up to 16 languages. A simple form & password manager and form filler which completely automates password entering and form filling. It also includes Text Saver, which lets you restore the lost text while composing mails and text area posts in case of crashes. 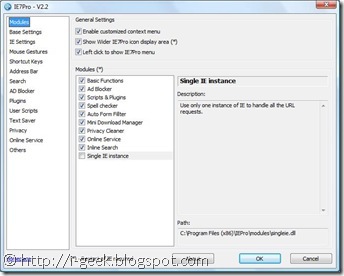 The smallest download manager for IE, It supports resuming Downloads and simultaneous downloads. 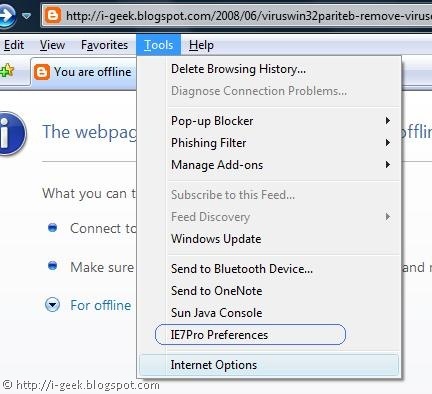 Search the page as you type, like the Find as you type feature of Firefox. 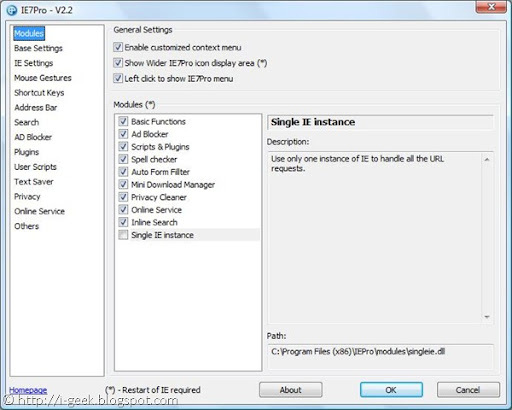 Use only one instance of IE to handle all the URL requests. Display the website's Alexa and Google Page Rank. 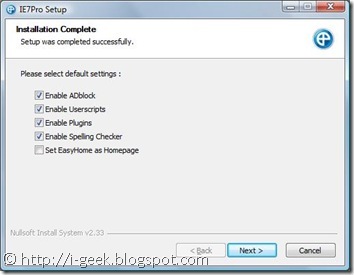 Save video clips from YouTube, Google Video, Myspace, Metacafe, Break.com, Putfile, Dailymotion and Sevenload.